BOOK SIGNING: JAN. 26; 11 am; La Mesa Library, 8074 Allison Ave., La Mesa CA. 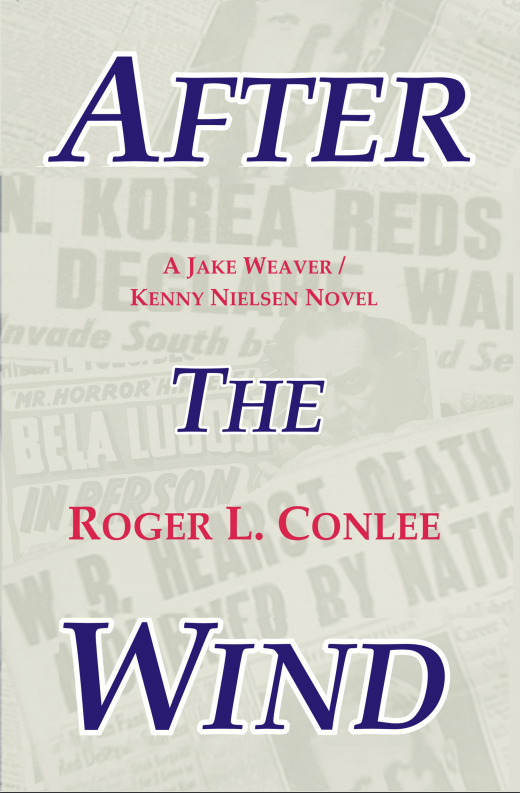 The following is an excerpt from San Diego novelist Roger Conlee’s “After the Wind.” Following the death of newspaper mogul William Randolph Hearst, ace reporter and editor Jake Weaver finds himself a murder suspect while trying to help Hearst’s lover Marion Davies receive her fair share of the old man’s fortune. The effort also puts Weaver sideways with Bill Hearst Junior, his soon-to-be boss. Meanwhile, Weaver’s friend, young Marine Corps officer Kenny Nielsen, goes into battle in the Korean War while his wife Claudia seems to be paying more attention to her professional ambitions than to him. Jake Weaver recognized the voice on the phone. Marion Davies. One-time actress and longtime mistress of William Randolph Hearst, the owner of Weaver’s newspaper, the Los Angeles Herald-Express. “Stole whom, Miss Davies?” Jake knew the answer. There’d been a death watch for a week now at the Hearst mansion on Beverly Drive. “My Willie. He died today.” Sobbing, having trouble getting the words out. Jake knew that Hearst’s son, William Junior, had been staying in the guest house along with Richard Berlin, president of the Hearst Corporation, part of the death watch. “The nurse said they told her not to bother me, not to even wake me up when the hearse came to take him off to the mortuary.” That’s really cruel, Jake thought bitterly. Jake liked Miss Davies. He felt her pain like a nail to the chest. He himself had visited Hearst three days ago. Unable to get out of bed, wasted away to about 120 pounds, the old man had feebly placed a hand on Jake’s head as if bestowing a papal blessing. Hearing that, Jake couldn’t help the tear that began to trickle onto his cheek. He’d worked for this American journalism giant for fourteen years. He’d covered a war for him, risked his life in Nazi Europe for him, led a crusade against the underworld for him. Jake knew that Bill Hearst, Richard Berlin, and Millicent Hearst, who’d refused all these years to grant her husband a divorce, would fight Davies for control of the Hearst fortune. His will had been vague on that, or so he’d heard from newspaper gossips. He also was aware of California’s community property laws. news empire’s remarkable recovery during World War II. Jake knew that now she could get royally stiffed on this. He had been the Herald-Express military writer for nine years but recently was bumped up to assistant managing editor. He still kept his hand in, though, writing the occasional news story. Jake felt humbled that the spunky one-time actress had turned to him in her desperation. Over the years they’d developed a rapport and she’d sometimes asked his advice on small things such as what to give W.R. for his birthday. He knew that the Hearst sons and their mother Millicent had been circling for days waiting for the old man to breathe his last. Now the birds of prey had pounced. 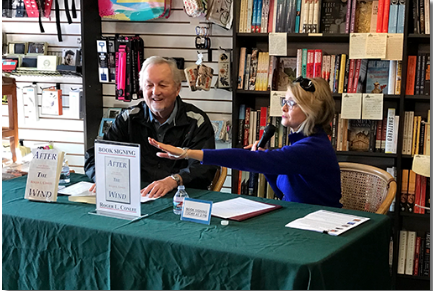 Author Roger Conlee, left, at a recent signing session for his newest novel "After the Wind."